ملصقات عيد الحب valentine day App Data & Review - Stickers - Apps Rankings! ملصقات عيد الحب valentine ..
ملصقات عيد الحب به أكثر من 66 ملصق لعيد الحب والأجمل على الإطلاق. عبر عن مشاعرك وسوف تستمتع ، تجعل الشخص الذي تهتم به سعيد. 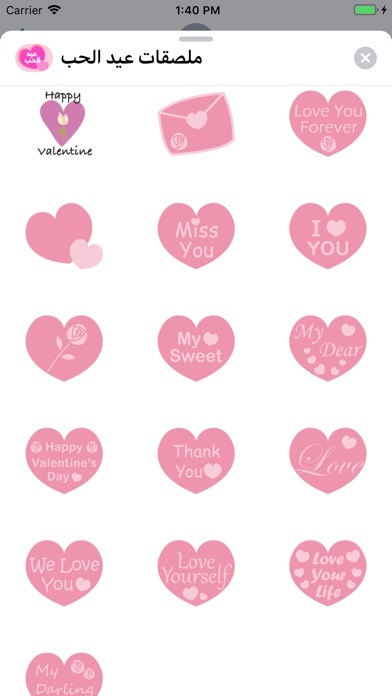 With this application you will express your love and say happy valentines day to your special lover with this amazing valentines day stickers, emotion, please make that special person happy. 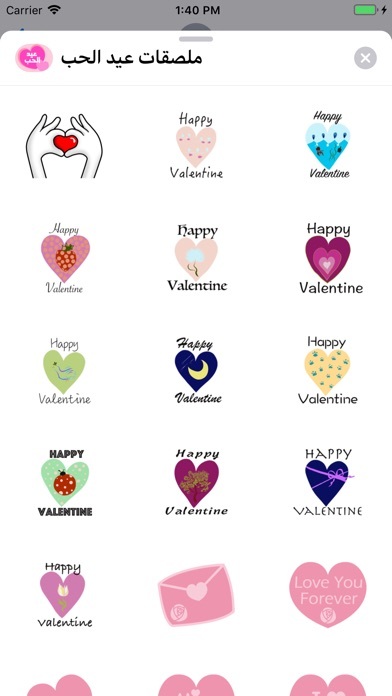 You will find best Emojis and stickers of valentines day. 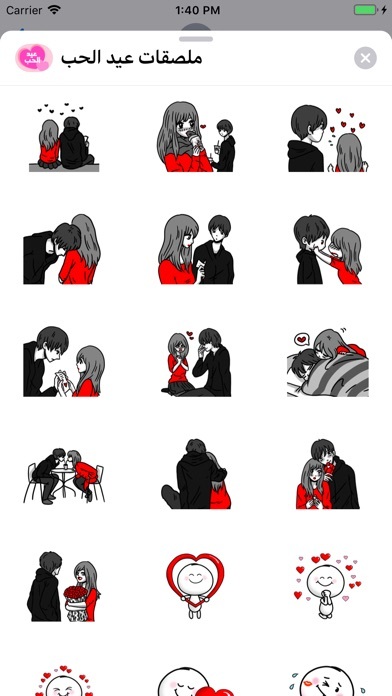 Better way to express an emotion is with emoticons to your lover. 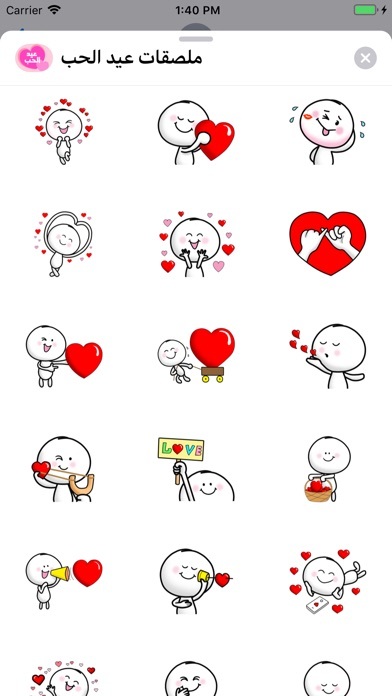 The applications ملصقات عيد الحب valentine day was published in the category Stickers on 2019-02-09 and was developed by Mohamed BENHASSI. The file size is 21.48 MB. The current version is 1.0 and works well on 10.0 and high ios versions. Do you like ملصقات عيد الحب valentine day applications? Please share!